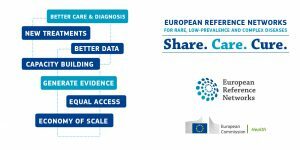 European Reference Networks are gathering the best expertise to improve care in Rare Diseases in Europe. The legal basis of ERNs is the Directive 2011/24/EU on patients’ rights in cross-border healthcare. 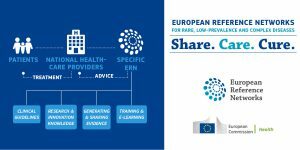 The European Commission (DG SANTE) launched the first call for ERNs in March 2016, and the first ERNs were approved by the ERN Board of Member States in December 2016 following the application and technical assessment process. 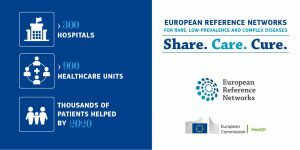 “The value of EU collaboration is particularly clear in the case of rare and complex diseases. […] How can ERNs improve the lives of Europeans? Patients with rare and complex conditions will be able to benefit from the best treatment and advice available for their specific condition. Their doctors will have access to a highly-specialised pool of colleagues from all over Europe. ERNs Brochure (EN) – will be available in all languages!